Nissan Sunny Petrol Vs Toyota Etios Petrol- Which Is Better And Why? Nissan has finally launched the much awaited Nissan Sunny in the market at a very competitive pricing. This means that the most obvious competitors to be in the list are Toyota Etios and Maruti SX4. In continuation to our car comparison series on Car Blog India, in this post we are going to make a comparison between the Sunny and Toyota Etios petrol sedan. 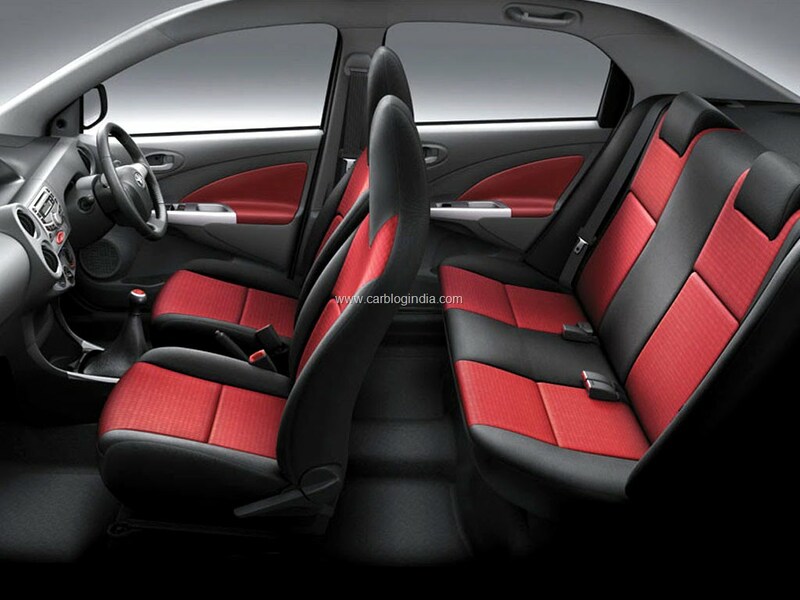 Toyota played really safe and launched the Etios sedan with a very simple look. The design has been kept very clean with no drastic body lines flowing across the body of the car. Large headlamps, chrome grille, body coloured ORVMs, chrome strips on the sides, side skirt, alloy wheels etc. enhance the simple looks of this car. The Sunny is a really tough competitor and to me it is definitely a better option as far as looks are concerned. Nice alloy wheels, large headlamps, chrome outline on the grille, body coloured ORVMs, a sculpted body are some of the characteristics of this car. The car looks better and seems to be belonging to an upper segment. Despite sharing its platform with the Nissan Micra, the car bears no resemblance in terms of looks with the same. Instead it reminds you of the not so successful yet highly potential Nissan Teana. The rear is sporty and the roofline blends into the boot like it does in a coupe. The Sunny is longer and marginally short in height compared to the Etios but has a longer wheelbase and is more roomier than the Etios. After the comparison of the looks I would love to go with the Sunny. 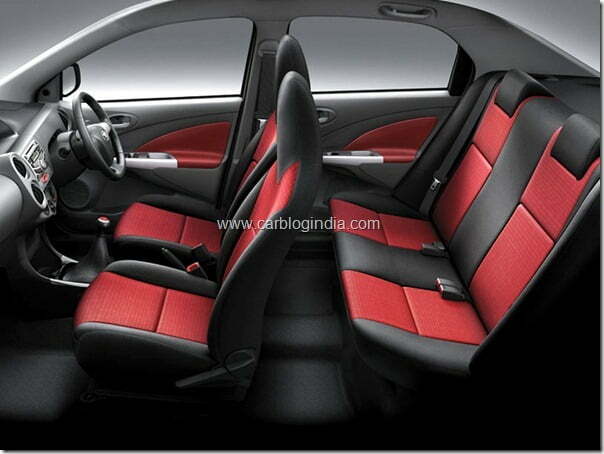 The Etios though contemporary is not as good as the Sunny from the inside. Etios features a new dashboard design with a number of unique things like the AC vents, instrument cluster, the largest glove box etc. Space wise the car is quite spacious and is one of the roomiest compact sedan. Besides the above features it also comes with steering mounted audio controls, audio system with USB and AUX in connectivity, dual tone upholstery, ABS with EBD, dual airbags and many others. Although the Sunny bears no resemblance with the Micra on the outside, which it should, it does derives many of the features on the inside. It comes with iKey and Push button engine start, a circular AC system design. audio system with AUX and CD, steering mounted audio controls, ABS EBD and Brake Assist, dual airbags, Anti Theft Device with alarm etc. The space on the inside is enough to sit comfortably and the seats hug you well from the sides so as to provide the best comfort levels. Sunny belongs to the C segment but inspite of this fact, the build quality on the inside and outside is exceptional and way ahead of the other cars. Again i would have to give my vote to Sunny. Interestingly both have an equally big engine with almost similar torque figures but the different lies in the power of the two. Etios petrol delivers peak power of 89 BHP whereas the Sunny delivers 98.6 BHP which is almost 10 BHP more, but because of the light weight of Etios Sedan, the power to weight ratio comes out to be almost same. Mileage also is not very bad and as per ARAI its 16.95 KMPL which is 0.5 KMPL less than Etios’s mileage figure. The Etios is really good for city conditions as the engine is peppy and responsive. The steering wheel is also very light and one does not have to apply much effort while steering the car. It is also comfortable in the city but if you drive fast then every single bump is felt as the suspension is soft. The Sunny is better in terms of ride quality and feels confident on the bends. Not much bumps are felt while sitting inside the cabin. So overall again the Sunny has slightly better handling with its better tuned suspension and slightly larger wheel base. The Sunny has been priced very aggressively with its base model priced close to 5.8 Lakh which comes with almost every feature one would except like ABS, EBD with BA, airbags, door ajar warning, AC, and a bunch of others. But the pricing is not as inviting as Etios’ which starts at 4.96 Lakh and ends at 6.68 Lakh. Definitely the top end Sunny XV does not stand a chance as it is priced way above at 7.68 Lakh and all those features which come in XV are also delivered by Etios but at a much lesser price. I believe the Sunny is much better to own car and is also ahead in every aspect from the Etios. But if pricing is concerned and one does not wish to pay much then Etios gets the opportunity to impress you. Everything is better in Sunny whether its the engine, comfort or ride quality but the pricing is certainly a concern. So if you now are looking for a good sedan and do not worry about the price then Sunny is a better choice otherwise the Etios is not too far behind in terms of quality and value for money.